Google Glass that is. 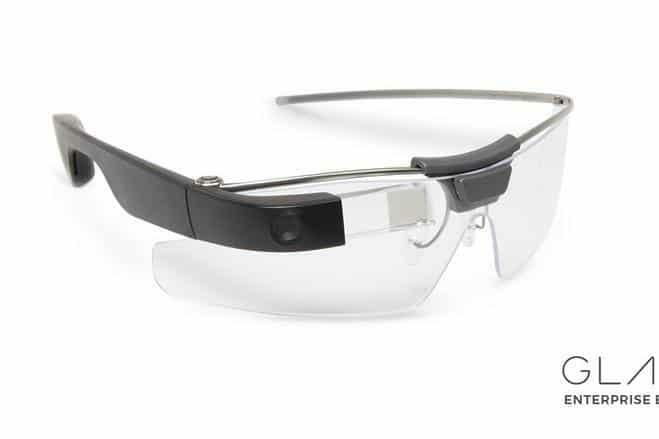 "Dubbed Glass Enterprise Edition...the new device, which is designed to snap on eyeglass frames and display information, videos and images in the line of a person’s sight, allow workers to see instructional content. They can also use the device to broadcast what they are viewing back to others for real-time instruction." Sounds like a dream come true to meet the training, troubleshooting and efficiency killing challenges of changeover and set-ups that plague capital equipment sales. But will companies see the opportunity, much less seize it? My prediction is that few will. Like tulip.co and machinemetrics which I wrote about recently as easy bolt-on cloud extensions which could help machinery manufacturers extend their traditional welded steel machine product offerings into the cloud without huge R&D expense or risk, Glass Enterprise will feel irrelevant to many. I had an interesting exchange recently with John McTigue (@JMcTigue) around an article that detailed the impact of ego driven short-sighted legacy management practices in a large tech company. Kicking it back and forth a couple times suddenly crystallized the fact that founder ego and corporate brand are really two sides of the same coin - although the former is more pronounced in tech perhaps and the latter in traditional capital equipment manufacturers which are perceived as more stable and less fluid. Both represent the gravity (nearly blackhole strength) that prompts companies to be inwardly focused regardless of how strongly their marketing literature protests that they're customer focused. The jarring reality, however, is that nobody cares about your product. Seriously. This isn't some flippant "wake you up" sort of rhetorical tool. They don't! What they care about is individually advancing their career and simplifying their daily function; and improving their business - either by eliminating cost and inefficiency or by improving. 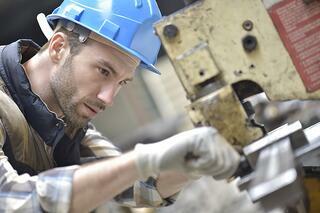 An alternative perspective positions industrial manufacturers as business consultants. The machines they build allow their buyers to achieve certain things - decrease expensive downtime, reduce the skills required by operators to make staffing easier in a tight labor market, increase their sales by meeting market and consumer expectations, etc. And rather than delivering the consulting product in a PowerPoint or binder, it's delivered in a piece of capital equipment. In the latter context cloud based compliments to the core machine can provide outsized success in delivering the business value of the "consulting" project. That's where Enterprise Glass has enormous potential - and why brand egotism that focuses on the machines as their raison d'etre will be unable to embrace it. Is it right for every company? Of course not. Is Enterprise Glass really the right tech at the right time? Who knows. What's certain, however, is that capital equipment sales that focus on helping buyers grow sales and increase OEE will win. And technologies which address the inherent challenges in machinery commissioning and operation (e.g. changeovers, remote troubleshooting, set-ups, new operator training, etc.) will far outperform others in the bottom line analysis of total impact. While early adoption sometimes leaves adopters looking a bit silly (the glassholes of 2014 for instance), slow adoption does the same. It's not a matter of being traditional or hip. It's not a call to "bet the company." It is a recognition that ignoring trends both exposes a machine builder to risk and carries substantial opportunity cost. That's why it's important to have a framework for board level strategy that will provide a fertile, yet realistic environment for market and product roadmap planning. This guide provides a great start.